Consuming molecular hydrogen is becoming a thing among those interested in health and fitness, and I wanted to share my own personal experience over the last 7 months as I think it might be beneficial. I’m a long-time subscriber of Dave Asprey’s biohacking box, since #4 and back when it was a Quarterly box. Almost a year ago in June 2017, I received a bottle of Honey Colony’s Hydra molecular hydrogen tablets in that quarter's box. I read the label and had a discussion with my friend Brandon Amalani regarding molecular hydrogen and Patrick Flanagan’s Megahydrate (I’ve occasionally used it but am more familiar with his Crystal Energy—Brandon still uses it frequently). Neither of us knew much about Honey Colony or the new wave of molecular hydrogen supplements, so it went into my supplement cabinet and I honestly didn’t give it another thought, even though I had promised to drop by Brandon’s to compare the two head-to-head with some of his water testing equipment. Fast forward to the 2017 Bulletproof Conference last October, and a group of new friends were having dinner on Saturday night. Turns out at the next table was the Vital Reaction team, and Sarah Atoms, the (co-?) founder, overheard us discussing molecular hydrogen (you literally couldn’t walk in to the conference without seeing her booth and being given a sample of their tablets). She came over to our table, introduced herself, and asked if we wanted to know more. Of course we did. To her enormous credit, Sarah spent quite a bit of time with us, giving us more tablets and discussing the current research going on with molecular hydrogen, her company, the prevalence of hydrogen in Asia and the future of hydrogen in the US (condensed version: you can't go into a gas station in Asia without seeing molecular hydrogen tablets, it's absolutely enormous there, and it's going to be enormous here too soon...). She invited us to come to her booth first thing the next morning and try their hydrogen inhalers which were booked solid all conference. Sarah was remarkably passionate and it was infectious. The next morning we all showed up (me late, everyone else on time) and inhaled the molecular hydrogen for 20+ minutes. The gentleman from Vital Reaction that I was speaking to was as passionate as Sarah and shared many personal stories of his own experience and those of people he knew and customers who had shared feedback. I was very impressed, yet the difficult thing about the Bulletproof Conference in general is that you’re trying an enormous number of different biohacks each day and separating effects (especially after 2 full days) is difficult if not impossible. Even prior to meeting Sarah, I had made a point to catch Tyler LeBaron from the Molecular Hydrogen Institute, who was giving a last-minute talk that morning... though as fate would have it, I missed his talk as I was in the exhibitor' hall getting a demo. I'm hoping it’ll be included in the conference videos (still currently MIA) as I've found all of his talks very interesting. When I returned home I was excited to pull out the Hydra and give it a shot. I had a very challenging 2017 personally, and from August to October I was still struggling to regain my normal energy levels and mental clarity. Dave Asprey’s book Head Strong helped a lot (like a lot), but I was still struggling to maintain energy levels without constant supplementation. 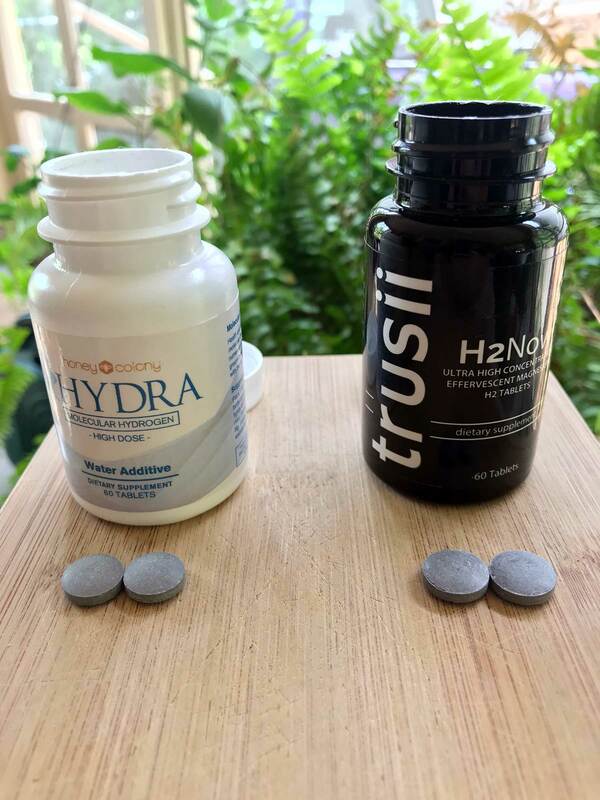 There are two types of molecular hydrogen tablets that I’m aware of, the kind that Vital Reaction and Trusii (among others) sell, where you place the tablets in an open glass and a “seal” forms along the top of the water and as soon as the tablets are dissolved you consume the water (think Alka-Seltzer). The Hydra tablets operate slightly differently: you want to put them in a sealed plastic bottle (not glass as it will break as the pressure builds), and then wait for the hydrogen to naturally diffuse into the water (you also don’t want to leave the water in the plastic bottle indefinitely as the hydrogen will slowly escape). I was doing one tablet in a small 12oz. bottle of water, letting it dissolve and then drinking it after an hour or so every morning. But by mid-November I re-read the instructions and decided to up my game, and did two tablets in the same sized bottle of water every evening, placing it in the refrigerator overnight. To me this was the game-changer. The first effects I noticed were more mental clarity and also a significant reduction in my appetite. These effects weren’t immediate but grew over time to where they were undeniable, perhaps 7-10 days in. Having felt the difference firsthand I began to take molecular hydrogen seriously, and started somewhat obsessively listening to every podcast and interview I could find with Tyler. I also began to research devices and the best way to consume molecular hydrogen. As often happens in the health world, I quickly became confused and quite frustrated and was having a lot of difficulty separating the sales talk from reality. Remarkably in November (compared to now), Google wasn’t retuning many results for molecular hydrogen and it took some pretty deep digging to just get a lay of the land (as a web developer I have superpowers). I had pretty much decided by then to go for consuming hydrogen by drinking it, not by inhalation, yet I also didn’t want to be consuming the tablets every single day. It didn’t feel like a good long-term solution and would be expensive. There just weren’t that many H2 water devices being sold in the U.S. (there still aren’t), and in a short amount of time, I had found the Korean source of all of the rebranded water machines on the market. (As in the Echo, the Brilliantz, and this one). At the time they had the 200, 300 and 400 models, but given the rapid progress of this field now there’s the 700 and 750 which will probably be here in the U.S. soon. The ppm was fairly low however (1.3 at the most) and because I have a whole house water filter, the extra filters each of these three units had was an additional ongoing expense I didn’t need. I was intrigued by Mike Adams Elemonics device (essentially a slightly upgraded Echo), but it added yet another filter and the actual Elemonics stuff itself seemed like a bit of a reach. Who knows. Soon I was investigating some of the higher-end Japanese nature-mimicking water devices, but since their main purpose wasn’t to produce molecular hydrogen (it was merely a by-product), they couldn’t give me specific ppms in answer to my question. I hope they do release this information soon, but one of the problems with doing so is the level of H2 is going to vary based on the water supply going in. Mid-November, I found the website h2fx.com, run by Tywon Hubbard, an ex-pro indoor football player. Unlike Tyler at the Molecular Hydrogen Institute, Tywon was actually testing and recommending devices, and I saw one that I hadn't seen before-the Trusii H2Pro. If what Trusii was claiming was true, this was a giant leap forward in technology—they were claiming double or triple of what other machines were claiming in terms of ppms. But it came at a price (also triple the other devices). After a bit more poking around, I realized Tywon lived within 20-30 minutes of me. This was nuts. I had to reach out. After Thanksgiving Tywon returned my email, quite surprised that someone so geographically close was so into hydrogen and accepted my offer of lunch to discuss his passion. Quite remarkably, the Korean restaurant I suggested we visit he had only been to once-when the Korean hydrogen device manufacturers had come to town to meet him and work on their designs a few years ago. Our lunch lasted several hours (no kidding), and was wide-ranging. Tywon was *deep* into hydrogen, and told me some great stories of how the industry has evolved in the U.S. As lunch came to a close, I mentioned my frustrations with the information and choices of devices that were on the market and thought he was doing a great service recommending and reviewing devices and spreading the word about hydrogen. That’s when he mentioned the Trusii H2Pro. I told him I had seen it on his site but couldn’t afford it. He told me about the option to do a case study-which I had also seen on his site but seemed too good to be true. They were literally going to give me the best device on the market essentially for free in exchange for me giving them feedback? He assured me it was legitimate, and he explained how it worked and that he could vouch for them as a company. I said I’d contact them. Tywon did even better-he texted me later that afternoon, asking if would I like to speak to Jeff Taraday, one of the owners of Trusii, personally? Umm... yes. Jeff called me that evening and we spoke for a little over hour. We talked about how I had met Tywon, about the Bulletproof Conference and my experience there with hydrogen, and about the Hydra tablets and their effect on me. Since I hadn't heard of Trusii before, Jeff took the time to explain the entire foundation of the company in depth: Trusii was built upon the concept of serving each client as if they were a member of their own family and the company was focused on the true impact that they could have on their client's lives… the name literally means “truly serving one.” He told me that this belief led directly to the development of the H2Pro machine—since there was no other adequate HIM (Hydrogen Infusion Machine) in the U.S. market in their eyes, they were going to create it. They wanted a product that could transform their clients lives, and why they were also about to release the highest ppm tablets on the market. I was impressed. And once again, he assured me that the case study was legitimate and was also a part of this philosophy. A couple of days later, in early December, I drove out to Santa Fe and Sedona to visit clients and take a small break before the holidays. I was consuming hydrogen first thing every morning (with two Hydra tablets), and eating only two meals a day-skipping lunch. I was feeling amazing. On the drive out I completed Trusii’s paperwork and was approved for the case study. I must admit it was a bit daunting initially: the way it works is you essentially finance the unit, and Trusii will compensate you for participating in the case study, sending you a check for most if not all of your monthly payment ahead of the due date. If you stop participating in the case study (i.e. don't fill out paperwork or other requirements), you will stop getting checks, yet the payments will continue. I don't mind this—in my conversation with Jeff, I understood that it's a commitment on both sides and accountability is a good motivator. I also trusted that they were in this for the long haul, as was I. After a deep breath, I was finally going to get my hydrogen infusion machine! The Trusii H2Pro Elite producing molecular hydrogen. A full cycle takes about 15 minutes to complete. When the unit arrived a week or so later, I was shocked to see how large it was—I realized I didn't know much about the unit at all. It measures roughly 10 1/4” x 19 3/4” x 18 3/4” and came in two giant boxes. The second box held six well-designed, insulated bottles to take water on the go, which featured a special lid to allow no air at the top to give the hydrogen a place to escape to, a bottle carrying case, and a 3-gallon plastic bottle to supply the unit. Again, impressive: this isn’t a plastic, cheaply constructed unit. This is a very well-built, very serious unit-like something you’d find in a professional setting (a gym or a health practitioner’s office). This device is metal (think refrigerator rather than water dispenser) and says quality.Quite honestly, it took me about a day and a half to get up the courage to actually set up the device. I was in shock... it was literally a case of "be careful what you wish for." Here I was, maybe two months later, with the best device available in the U.S. now sitting in my kitchen. After a week or so ago Tywon was in touch - how was it going? Did I want him to swing by and take a look at the unit? He'd bring some H2Blue and measure the ppms, and we could have lunch again. Short story, right out of the gate and without boosting (essentially running the H2Pro hydrogen generator a second time) Tywon measured 2.6ppms, at least double what any other unit was offering. Sweet. Since then I've been living with hydrogen water every day and I must say the effects I've felt in the very beginning have been maintained. 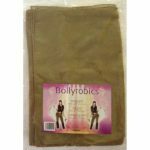 Sustained energy levels, more focus and mental clarity, weight loss/appetite reduction and reduction in overall joint aches and stiffness. I also purchased the Trusii H2 tablets when they came out, which I now use when I'm traveling. They're the highest ppm tablets on the market. Another use for them came when I caught a quite nasty cold after a marketing conference in March and I couldn't tolerate the H2Pro's chilled water (I would literally have chills for an hour after consuming a glass). It took me a couple of days to realize the tablets would really help in this case, and sure enough I was able to tolerate room temperature water with tablets just fine. Was there an immune-boosting effect? I'm not sure... really impossible to know. 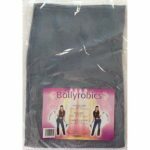 My instinct is it didn't, but it would have absolutely reduced the burden on my body to scavenge hydroxyl free radicals and in a situation where the body was extra-vulnerable to damage this had to be a very positive thing. So now, end-of-May, do I feel as good as I did back in November, when I first started consuming molecular hydrogen? No, I don’t have quite the same feeling I sometimes found myself with back in November/December-a really undeniable feeling of feeling great—better than I had felt in years. There could be two other reasons for this feeling—back then I was a bit more fat-adapted. I didn’t follow a strict ketogenic diet, but I was restricting carbs and was consuming a larger amount than usual of good fats. I think this probably played a role, and possibly went hand-in-hand with the reduction in appetite. Also, I was taking Neuromaster (the Bulletproof supplement) which I think I had very good luck with after 2 months or so. I’ve stopped since then, but I’ll probably start again soon and see if this supplement was at all involved in making me feel so good. I believe there are reasons it would have. I’ve continued the same two meals a day until the time of this writing, but feel it shifting now, and more often than not I'm eating a snack mid-day. I eat breakfast (generally a smoothie lately) then dinner. I’d prefer to eat a large lunch, but with work and schedules it just makes more sense to eat dinner. I am trying to squeeze the times a bit, to eat within a 10-hour window, but I’m at about 12 currently. The other benefits have continued: sustained energy when needed, but no jittery feeling or feeling I get when taking a stimulant (even something like aniracetam). Good mental focus and clarity. Good productivity. Able to up my game when needed. Yet no negatives in terms of sleep or sleep quality. Reduction in joint and muscle stiffness (something I had been experiencing more and more as of last fall, perhaps a result of my diet not being the best and under a great deal of stress) to the point of being a non-issue. Interestingly, many people seem to report sleep benefits from consuming molecular hydrogen. I can't say I've personally noticed this, or to any large degree. I've had an Oura ring since last August and have decent data before and now after and there isn't much of a difference that I can see. So I'm loving consuming molecular hydrogen regularly. Do I love the Trusii H2Pro Elite? Short story: absolutely yes. I love having the highest ppms I can get. I also find they made some very good design choices. While it would be more convenient to have the unit attach directly to my water supply, this gives me the choice to put the unit anywhere. My home office is currently upstairs, and I’ve been seriously considering moving the unit out of the kitchen and up to there, to have it more convenient during the day and night. It also gives me a good guide as to how much water I'm actually consuming. And because I have a whole house water purifier (an investment I can't recommend enough, I have a Vitasalus unit with a Greenfield Naturals structuring unit), I can just go to my tap, fill up the bottle and be on my way. For one person, three gallons lasts about 2.5 days or so, as a decent amount of water seems to be consumed in the hydrogen-making process. With two or more people, I would plan on filling the bottle every day or every day and a half. If you're not interested in the Trusii Case Study and don't want to be on the hook for that amount of money, what's another solution? I don't know because I haven't owned another device. The one thing I can say: make sure you get a HIM, not a water alkalizer—you want a machine specifically designed to produce hydrogen at a constant level. This will not be the case with an alkalizer, and you'll have other problems down the road. Don't believe marketing that is selling water alkalizers as hydrogen water machines. Yes, they do produce some hydrogen, but its a byproduct. It's not what the units were designed to do and you're not going to get consistent, good results, especially as the unit ages. As I mentioned briefly, the water is chilled. I hadn’t read the fine-print, and didn’t realize this when it arrived. It wouldn't have stopped me though and definitely not a deal-killer. In fact this is one of the factors in how the unit can keep the PPM so high. The thing, however, is that consuming chilled water (even on the warmest setting which is what I used through the winter until outside temperatures warmed up, somewhat against their advice as ppms are reduced) is not good from an Ayurvedic medicine standpoint. Drinks should be consumed at room temperature. I found myself over the winter getting quite cold by consuming the water on an empty stomach (my body runs cold anyway), and again when I was sick it was definitely not a positive thing. Yet now, a few weeks into spring, I don't mind it so much—it's actually quite refreshing. It's also forced me to rework how I consume water throughout the day. Previously, I'd just fill up a quart mason jar and take it into my office and sip as needed. With hydrogen though, it escapes very quickly so it's forced me to fill the jar maybe 1/4 full, drink most of it in one go, and finish up the rest in a few minutes once I've settled back in to work. I end up rarely using the ‘boost’ feature, which can almost double the ppm, theoretically up to 5 or so. It essentially restarts the hydrogen making process which ordinarily happens once per hour and takes 15 minutes. I would *love* it if I could time it somehow like a coffee machine (or a remote start feature from my phone). Part of the case study is to drink 16oz first thing in the morning. This is great, and I actually look forward to this each day. But I don’t want to get up, hit ‘boost’ and wait another 15 minutes as the water needs to be consumed on an empty stomach. I prefer to drink the water while I’m making my latte. And when I'm down to grab a glass of water, again, I want to grab it and return to work. Not push the button, wait 15 minutes, then grab it. I've also had the rubber blue ring which seals the top of the water jug to the unit get stuck inside the hole the bottle rests in—basically it pops off the top of the bottle and because it's a snug fit is a bit of a pain to dig out and reattach to the bottle. This would probably be my only true design criticism, but it's very minor and just a periodic inconvenience. In fact, considering the only issue I've had with the unit in 6 months of constant use that's very good. I can imagine far different results with the lower end plastic devices I mentioned above. At the end of the day is hydrogen a panacea? I think it’s too early to say… my own general feeling is it's a very beneficial wellness tool for coping with the stresses of today’s society. Basically “taking the edge off,” and allowing your body to function better overall. After you’re set in terms of eating well, drinking good quality water, exercising regularly and getting plenty of good quality light (including red and infra-red), I think the research clearly shows ( articles and studies) that molecular hydrogen has a number of tremendous benefits. If you have mitochondria issues, or are an athlete and need to recover faster, I think you’ll see noticeable results. But like anything, do your own research. Disclaimer: as you've probably gathered, I’m a participant in Trusii’s case study, and though I wasn’t paid to write this post, I do receive compensation to participate in the study. If you think you might like to participate, visit H2FX.com and get in touch with Tywon (he can also make other recommendations as well). If you're interested in purchasing Trusii's H2Now tablets, you can use the link above, or if you wish to use an affiliate link and compensate me for the referral, you may find the tablets here. Note: I see from Sarah Atoms' LinkedIn page she no longer represents Vital Reaction. Bonus: here's a cool (and little-seen) video Tywon shared with me a while ago, it's Tyler interviewing his professor about his discovery of molecular hydrogen and its role in the body. Well worth it. If you're looking for a very good, very informative introduction to molecular hydrogen - this is an excellent place to start. Dr. Mercola asks excellent questions I haven't heard anyone else ask (why an ORP meter isn't an effective device for measuring molecular hydrogen for example). Trusii claims they have the highest PPM in their tablet but the ingredients and amount of magnesium is the same as several other formulas. It’s just that there cost is 33% higher than other brands. Hi Grin — interesting point, I don’t have a devices which I can measure ppms with (I don’t think the H2Blue would work for a tablet), so I can’t support or deny that claim, but I still have the Hydra bottle and it claims 55mg of magnesium, while Trusii’s claim 80mg. But the Hydra contains hydrogen malate and hydrogen phosphate which Trusii doesn’t. I’m not sure if I mentioned this in the piece, but my understanding is that there are only two manufacturers of hydrogen tablets (or were), so any products sold on the market come from those two manufacturers. I’m guessing Trusii might have an agreement with one of the manufacturers to offer a slightly different formulation to be able to make this claim. It’s a good question, something actually better answered by Tywon Hubbard at h2fx.com. I’ll investigate this further. I am wondering why someone cant just take common (cheap) magnesium malate tablets and get the same hydrogen effects? If these are the 2 ingredients that make hydrogen gas? Magnesium supplements are a good thing to take anyway (and I know Dr. Mercola likes the malate version), but I don’t think it will result in a greater amount of hydrogen in the body. One alternative would be Patrick Flanagan’s Mega Hydrate – which is really the original hydrogen supplement. This does produce hydrogen in I think a very different way than the magnesium tablets, but still works and has been around forever, way before current research in hydrogen’s effects took off. Especially if you buy the powder this should be a more inexpensive way to go. Certain bacteria in the gut produce hydrogen – that’s the way most people get hydrogen – but as to how to increase that production or those species’ proliferation would be something else entirely. I was wondering how the case study was going? Are you receiving payments for the machine from Trusii yet? I was wondering because I was accepted into the study, but it seems to good to be true. Is it? Thanks. I had the exact same reaction Devin—absolutely seemed too good to be true. I mentioned this exact thing to Jeff in my initial call with him, the short story is that they want to get these machines in people’s hands and start learning more about the effects of hydrogen and how their machines operate in “the real world” (so they can keep improving them). They are financially sound (short story, they have deep-pocketed investors) and their primary motivation isn’t in making money with the device at this stage. I asked him why go this whole route about having people purchase them (often with loans) and then have them pay off these loans vs. just giving the machines away (and saving money in interest, etc.). He explained that they want people to have skin in the game – an incentive to actively participate in the study, complete the paperwork and the requirements (social media posting, a monthly voice testimonial/message and the survey), etc. This makes complete sense. I was helped in my decision by my meeting with Tywon – I trusted him, and therefore trusted Trusii. I had been interested in health for many years and had never heard of them which I thought was odd. But certainly their profile has been raised hugely by these devices and from that standpoint it’s definitely a huge success for them thus far. There’s definitely a mental hurdle at the “sign on the dotted line” stage – I think the important thing to understand is that yes, in the end you’re on the hook for the device and if they go out of business or you stop doing the requirements or whatever, you’re stuck. That said, I honestly can’t imagine them disappearing based on all of the experiences I’ve had with them and I do trust them completely to keep paying over the next 2 years (and them in trusting me). The build quality of the device is excellent – this isn’t a cheap plastic machine. This is something built to last a long time, and I’m sure as a company they are too. Do follow up if you end up moving forward! Was that a yes to the question though? You are receiving payment and the case study promises are legit? Hey Tony — yes, absolutely. Sorry if I wasn’t clear. I started the case study in early December of last year (2018) – I believe the unit arrived around the 10th – and I’ve received checks each month since then just prior to when my payment was due. The check came a little later than usual last month (November) but I’m chalking that up to the holiday. It still arrived prior to when the payment was due, just a couple of days though as opposed to a week or ten days which is the norm. Really interesting! I learned a lot of this thing. this is the first time i’ve heard about this. keep it up!